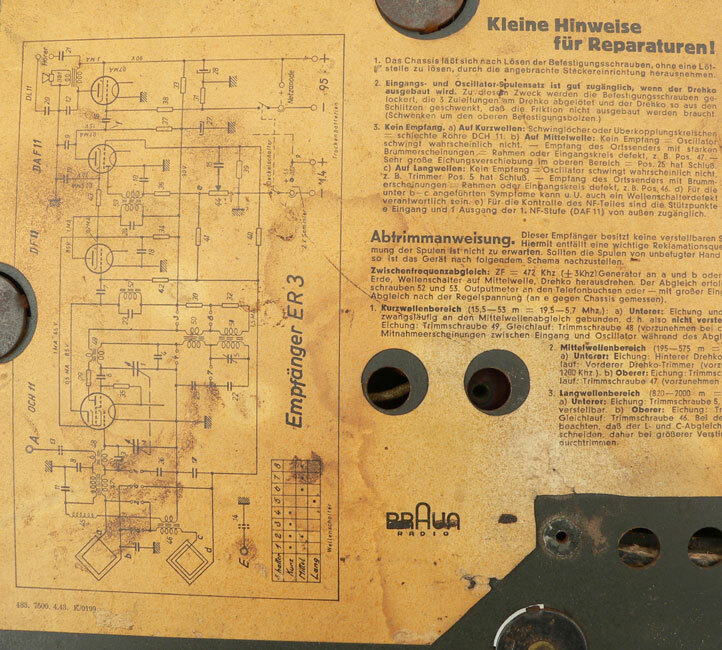 Luftwaffe Troops 'Braun ER3' Radio (Empfänger ER3). 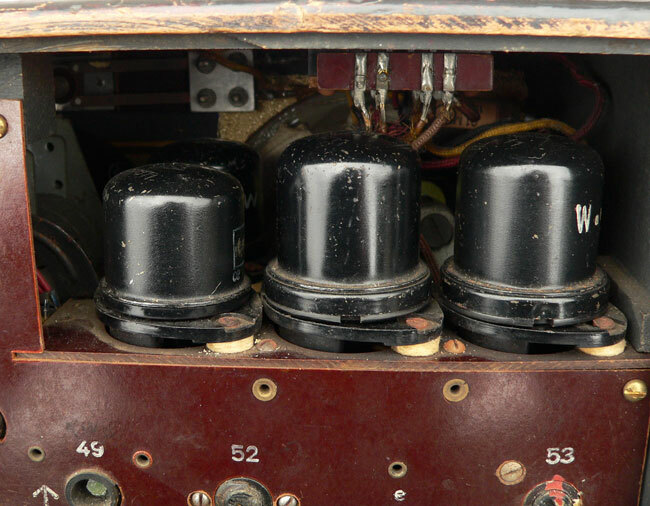 The Radio is in complete condition. 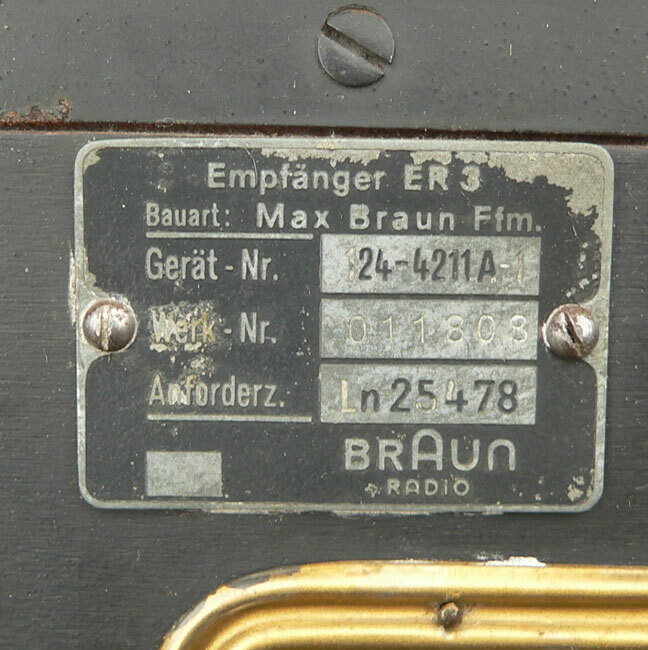 The radio is complete with metal type-plate, marked with the 'Gerät-Nr: 124-4211 A-1', the radio type is 'Max Braun', the radio is dated 1943. 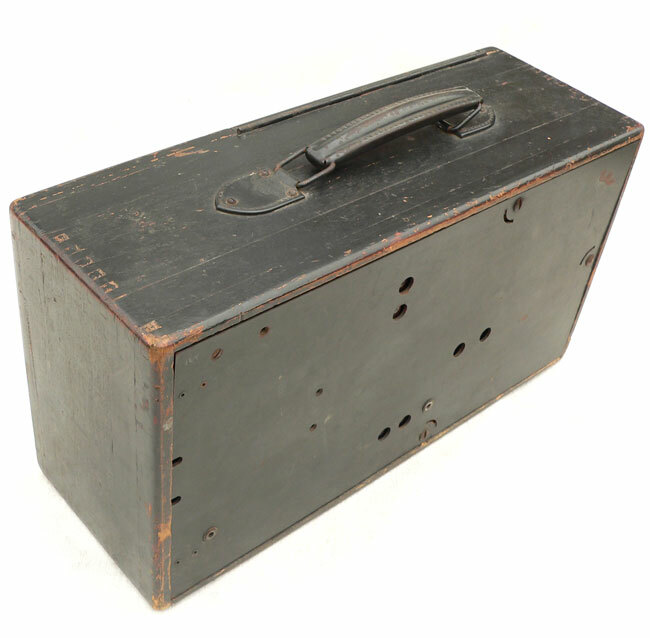 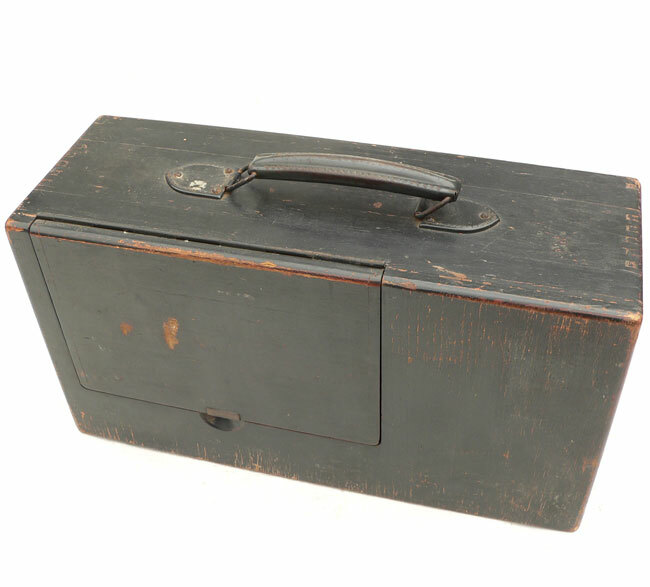 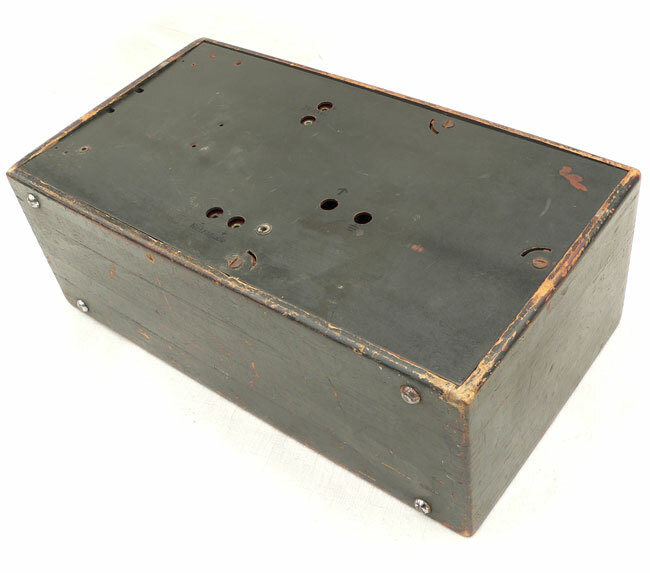 The wooden box is complete with carrying handle and still retains most of it's original Luftwaffe blue-grey paint. 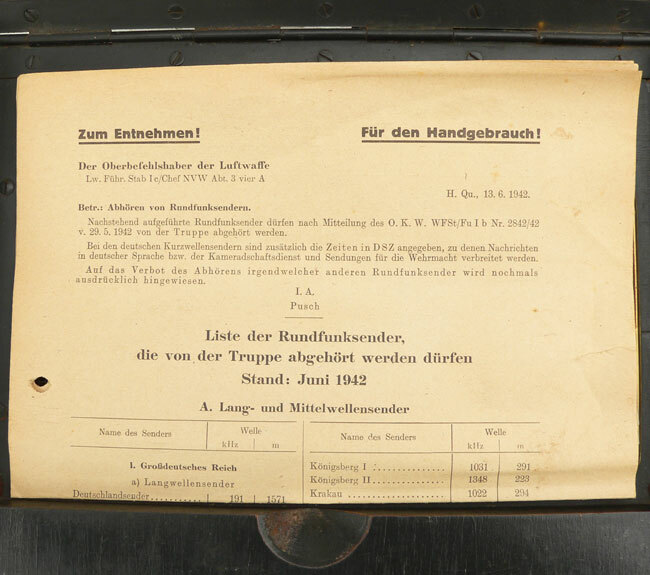 The radio comes with a paper Luftwaffe radio instruction sheet as found together, the sheet is showing all radio frequencies. 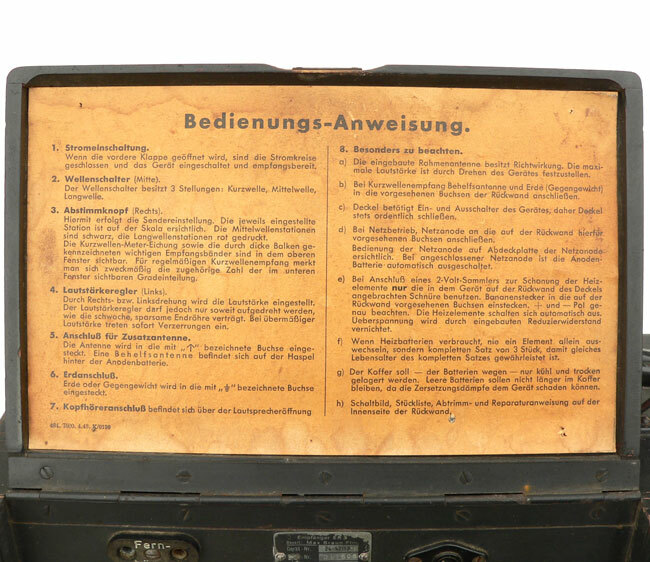 Great item for display in a diorama. 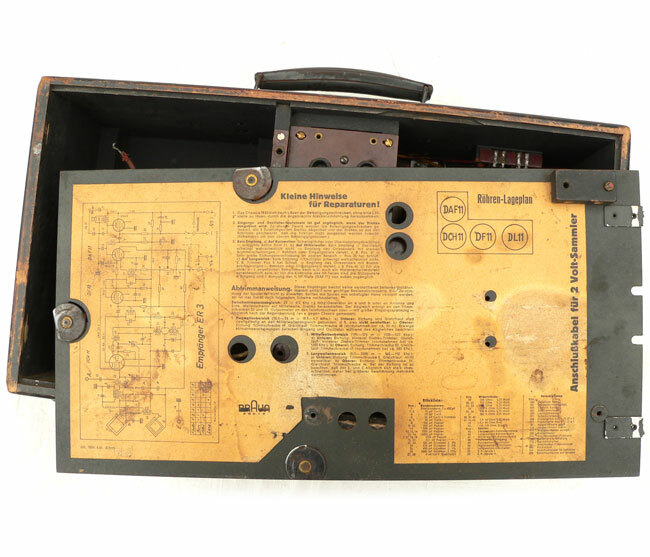 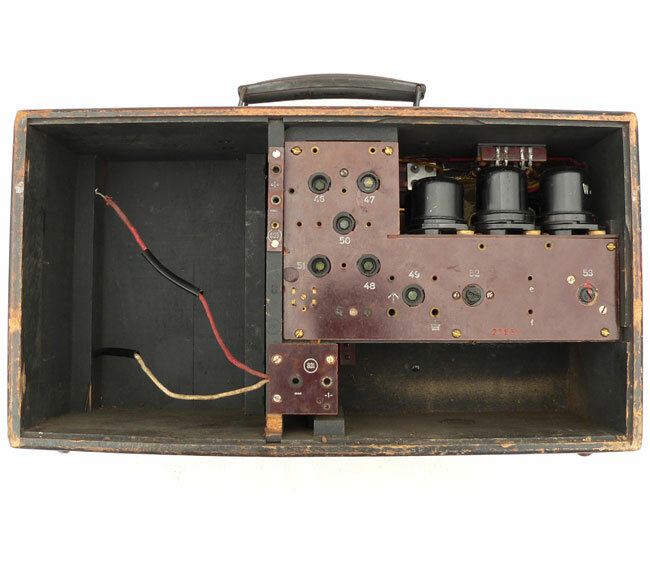 Nice original Luftwaffe radio in very good condition! 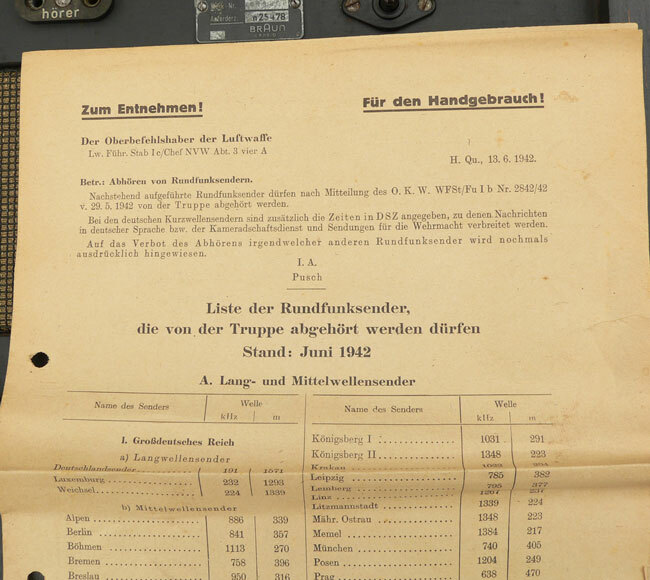 Luftwaffe Troepen Radio 'Braun ER3' (Empfänger ER3). 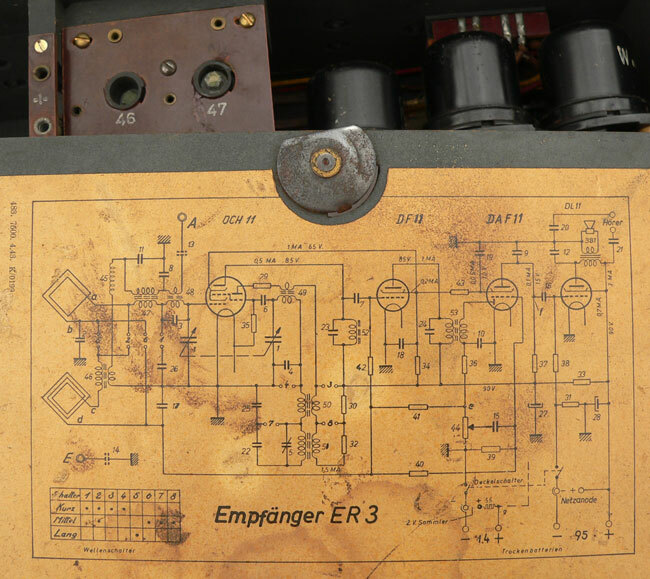 De radio is in complete staat. 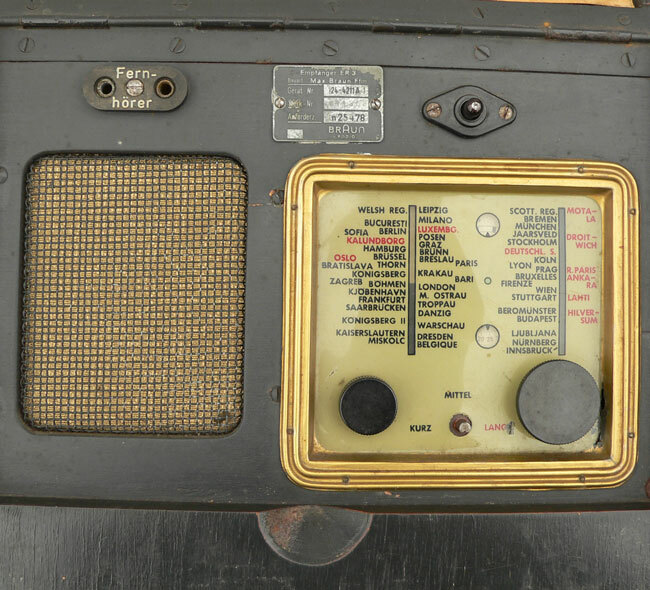 De radio is compleet met type plaatje, gemarkeerd met 'Gerät-Nr: 124-4211 A-1', het radio type is 'Max Braun', de radio is 1943 gedateerd. 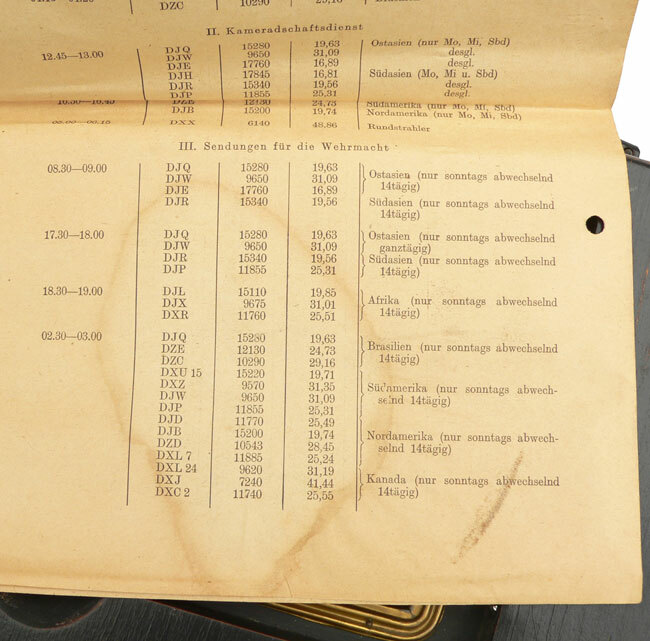 De houten koffer is compleet met draag-handvat en bevat nog het grootste deel van zijn originele Luftwaffe blauw-grijze verf. 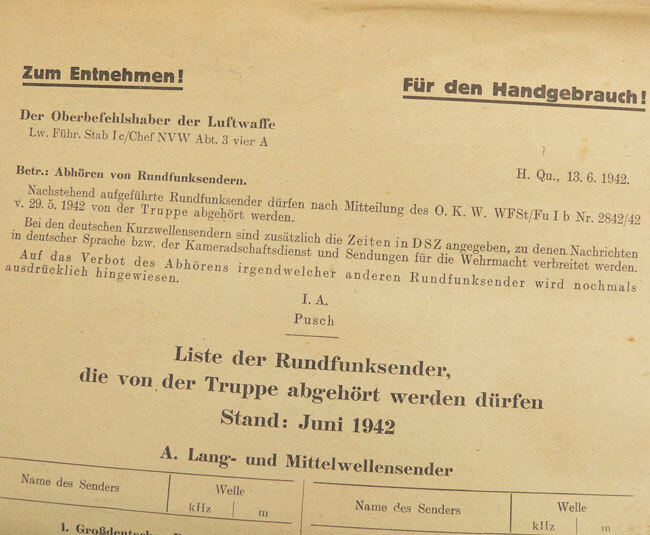 Bij de radio zit een papieren Luftwaffe instructie-vel met radio frequenties. 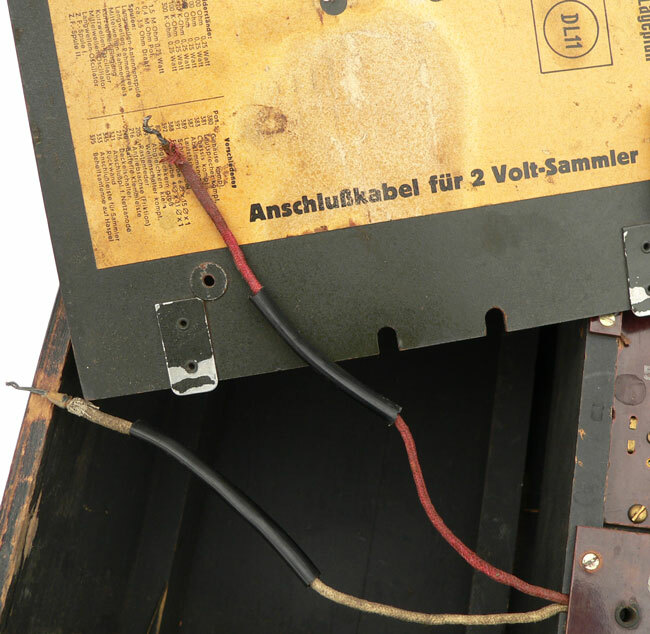 Leuk item voor in een diorama. 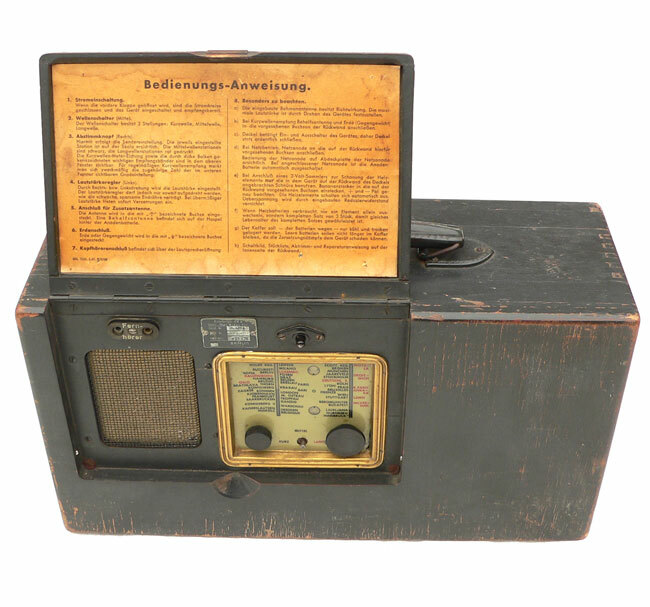 Mooie originele Luftwaffe radio in erg goede staat!